According the National Institute for Occupational Safety - NIOSH - the exposure to noise should be controlled so that the exposure is less than a max combination of exposure level - L - and duration - t.
Engineering ToolBox, (2004). Noise Exposure - Permissible Level and Duration. 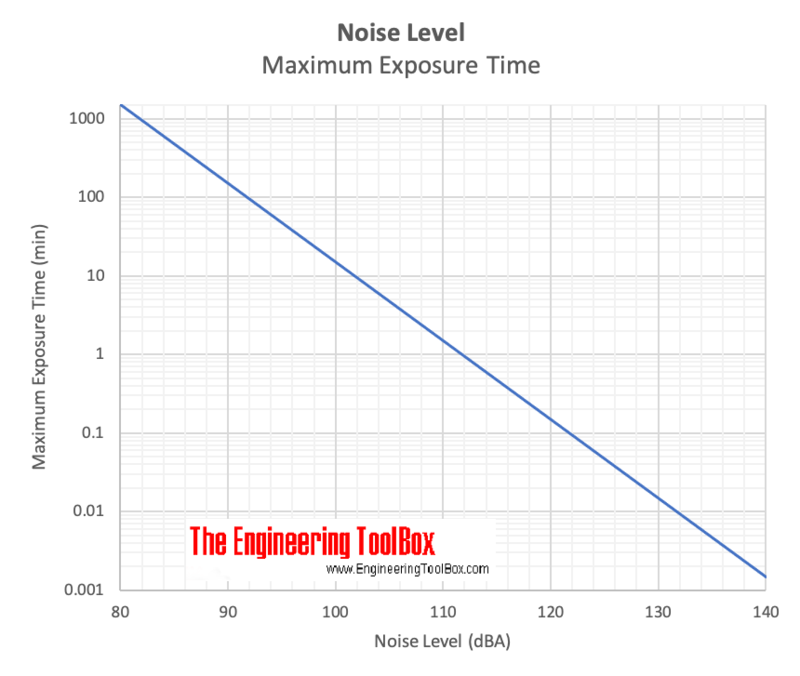 [online] Available at: https://www.engineeringtoolbox.com/noise-exposure-level-duration-d_717.html [Accessed Day Mo. Year].